How could I disagree with Steve McQueen? Well, I don’t. I really like this quote, it summarizes a lot of what riding is all about. But in my view there is the freedom and there is the adventure. And then there is a lot more to the experience of riding a motorcycle. I was born and raised in Porto Alegre, which is on the top of the world if you see the map with the South pointing upwards. Along with many other south hemisphere peoples, Brazilians did not participate on the meeting where the decision of which way was up (north or south?) was made. Kidding aside, showing the map up side down provides a great perspective to see where Porto Alegre is located. Porto Alegre is not a reason for why I ride, but it is relevant for you to know where I grew up when you read this story and all other stories posted on this site. Porto Alegre, Brazil. So far south it starts to become north again. Let’s start from the beginning. I used to ride horses since very little, something that is typical of my state in Brazil, where the southern most area of the state is in the biome called the Pampas. This is an area of vast grasslands and most people in those areas have a connection with cattle ranches and horses, and the Gaucho culture. The brand on the horse pictured below shows it belonged to my Great-grandmother. 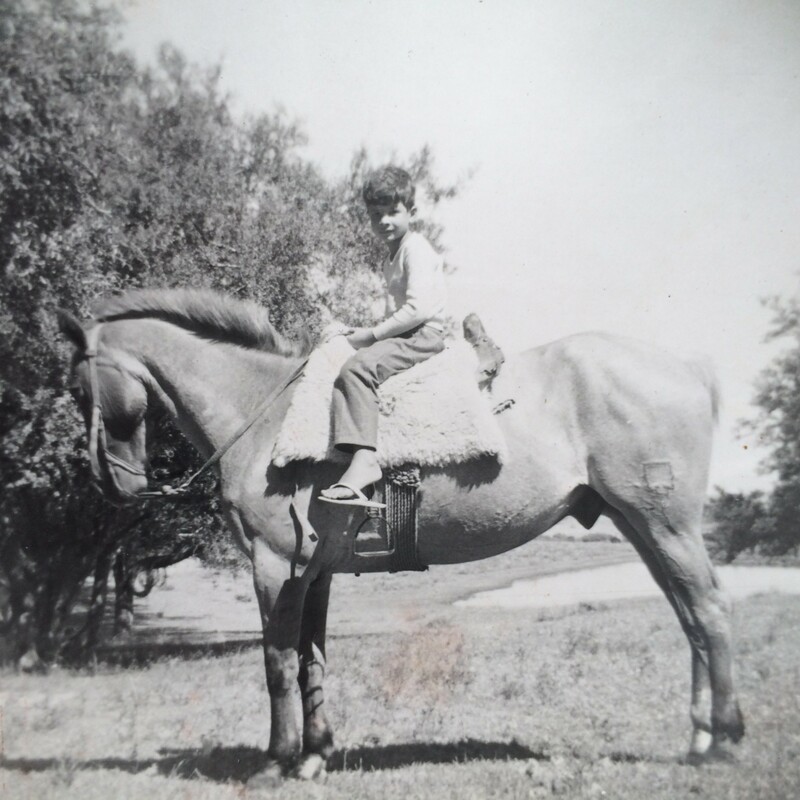 This means this photo was taken at one of her ranches, when she was still alive or shortly after she died (I was seven when she died at 92 years old). 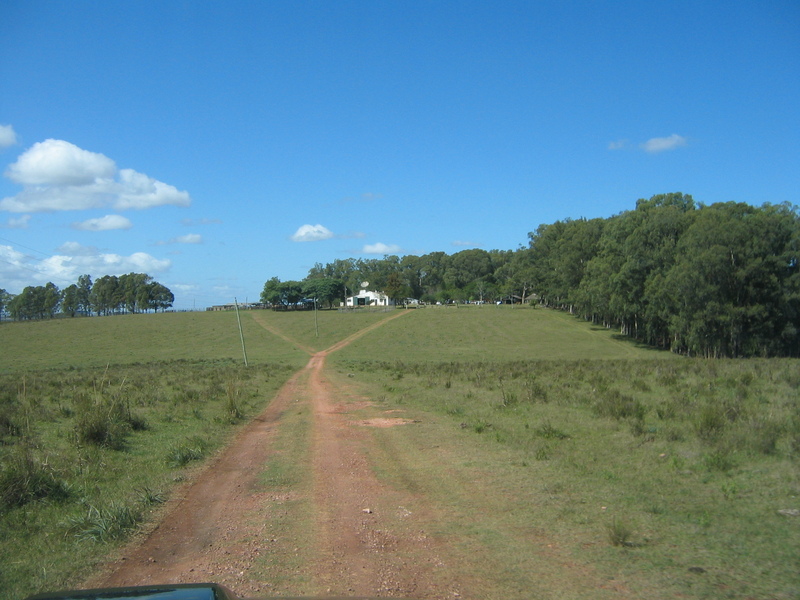 Her ranches were close to the border between Brazil and Uruguay, a magical location for me. Yes, riding bikes and horses has a connection. When humans learned how to ride horses, they never looked back. The relationship between a man and his horse is not unlike that between a man and his motorcycle. To me it opens the door to travel and to adventure. I was comfortable riding a horse, like I am riding a motorcycle. Not the best rider out there by a great margin, of horses or bikes, but good enough. Funny thing is that I still ride motorcycles today with that same posture you see on the photo below, a bit curved, a posture my mother insisted I changed. Her advices did not work, I reckon. But there are other reasons why I enjoy riding motorcycles. Appreciation for Things Mechanical. Since the earliest recollections I have as a child I have always been interested in things mechanical. Any contraption with wheels has always caught my attention. 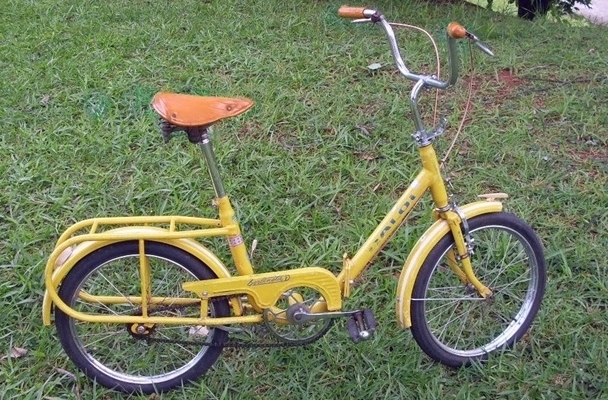 By the time I got my first bicycle, when I was 7, I had already had a couple of pedal cars. I drove those things to the ground. The bicycle, I managed to break its frame right in the middle (actually by its hinge, it was a folding bike, you can see the hinge to the left and down from the “Caloi” letters on the photo above). I used to build ramps ride fast over them and get some air. A plank of wood with one end resting on a couple of bricks was a nice platform for a short flight with the bike. That type of thing happened often with my toys. Then one day a graduated to cars and eventually a motor bike. On a motorcycle, there is the motor, exposed and so close to the rider. This in itself enhances the riding experience. It can be a single cylinder motor, a v-twin, a triple, a parallel twin, they are all different in the dynamics they offer to the ride experience, how they perform, how they sound on acceleration. What motor and what cylinder arrangement a bike has makes a difference for most riders, it certainly does for me. People often refer to the character of a V-twin. Or the low end torque of a single. Or the smoothness of a triple. Notwithstanding the sounds they each make. And then how you work them out, changing gears, clutch in and out, double clutching, blipping the throttle on a down shift, finding the sweet spot on the motor’s rev range, these actions are a great source of fun and they contribute to the experience. Yes, my appreciation to the machine is one of the great reasons why I ride. Solitude. I was fortunate to grow up on a nice family. However, while my father was always busy with work, and my mother spending most of the time with my three sisters, I spent a lot of time on my own little world. That meant that early on in my life I gained a strong feeling and appreciation for independence and self-reliance. The summer when I got my first bicycle was also the summer when my parents rented a cottage house in the mountains a couple of hours away from Porto Alegre, in the town of San Francisco de Paula. It was a somewhat isolated area with beautiful meadows and gravel roads, not unlike the geography and not too far from the location depicted on the photo below. I started riding my bicycle on these gravel roads. Each day I was able to go a little farther away from the house and each day I tackled steeper hills. At the end of that vacation, on the top of my seven-years of age, I was traveling good distances on my own, and I believe I would be away for more than an hour at a time on these roads. I enjoyed the riding. My awareness for the gradually increasing performance was also a source of satisfaction. But the solitude while riding became a great experience to me. Riding the bicycle on that nice location introduced a flavor to the solitude and the self reliance, a feeling that carries on to today. A feeling that is greatly enhanced by the motorcycle. Until I turned 16, the bicycle was my favorite mode of transportation. With a motorcycle it is the same principle, except that it allows you to cover longer distances, taking you farther away. And faster. And it is also about going for the unknown, the inherent risk of going on a ride on my own is an experience I like to have. I like that feeling. My thoughts, my motorcycle, and the empty road ahead. I want to be there often. Dirt roads usually carry more of what solitude means to me and best describe what the unknown represents. Dirt Roads. That house we rented on the mountains was an exception to the rule. Usually we divided the two-month summer vacations into two locations, both very nice: we would split our vacation one month at a house at the beach in the south Atlantic, and another month at a cattle ranch in northern Uruguay, or sometimes on my grandmother’s cattle ranch in the extreme south of Brazil. 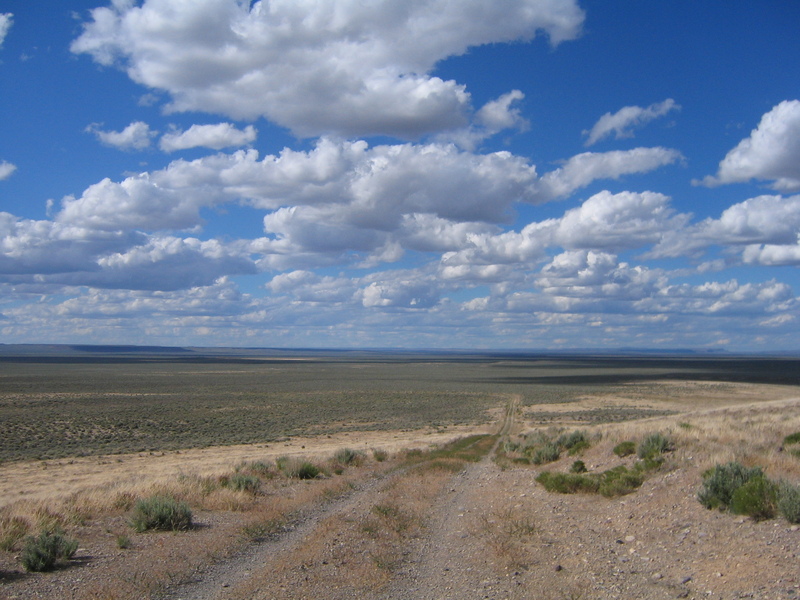 The access to either of these ranches were via 60 miles miles of dirt roads. Rancho Las Flores, Uruguay. April 2006. 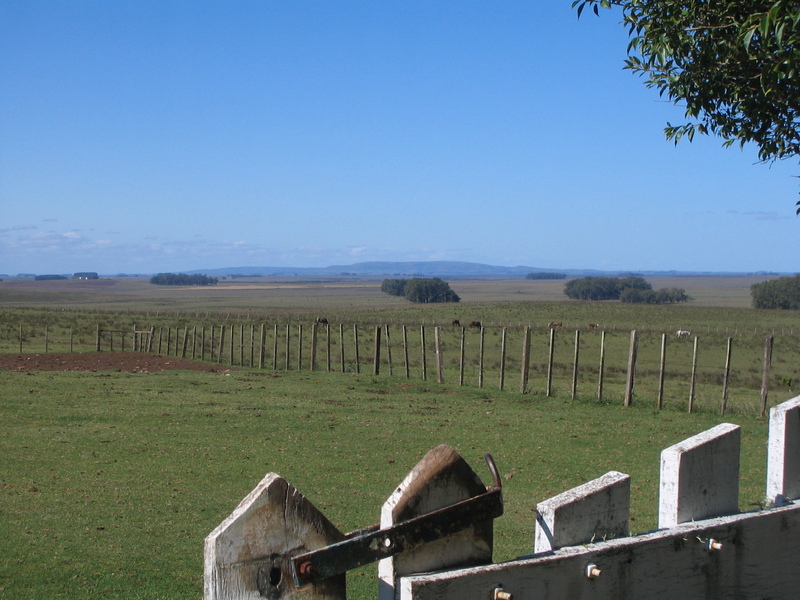 By the way, this ranch is located in a beautiful area of the Uruguayan pampas. It has been a sort of a retreat location for me. My grandmother’s cattle ranch was in Brazil, a few miles behind the hill on the horizon depicted on the picture below. 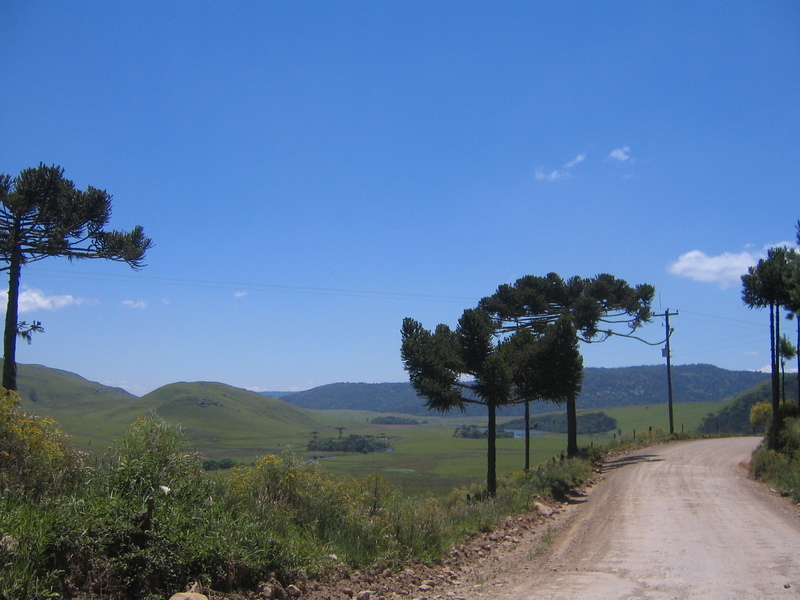 On the top of that hill, called Serra do Aceguá, is the border between Uruguay and Brazil. A beautiful area, but one you won’t find on a Brazilian postcard. Where was I? Yes, dirt roads. Spending time on that environment assisted me with creating an affinity with dirt roads. 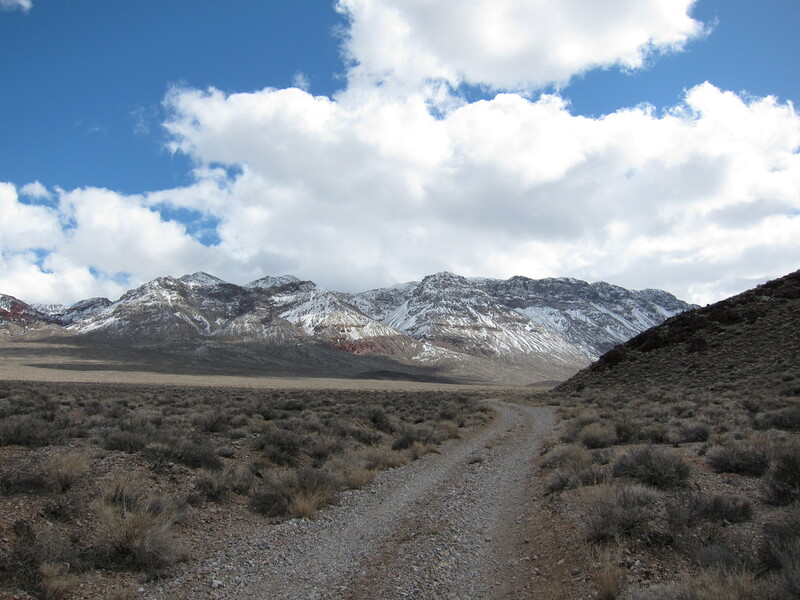 I knew traction was different than what you get on paved roads, and perhaps that’s what made me enjoy the dirt and feel comfortable with the gravel dance that takes place when riding a motorcycle on these loose surfaces. 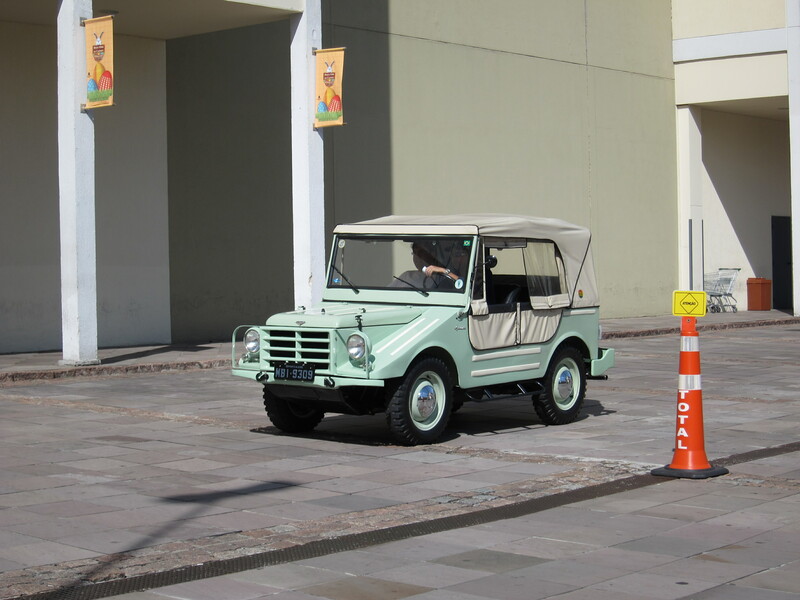 My uncle would drive us on 4 x 4 vehicles to the ranch, the first was the DKW Munga as depicted below. And the challenges on rainy weather were, to me, the greatest. Before we started the trip, we would research the weather, talk to people who had been on the road recently, we would listen to reports on the radio, we would communicate with people via ham radio. To my uncle it was about making sure we would make it. To me, it was an adventure each time, no matter what. But the most challenging the more I liked it. That’s one of the reasons I like dirt riding better than riding on pavement! Also, as a rule, dirt roads seem to be on the most remote areas, with less traffic. And hence they represent a better chance to experience a solitude moment. And they are becoming a rare commodity these days. While I’m transitioning more to pavement riding these days, I plan to always have motorcycles that ride very well on such roads. Like my little Yamaha WR250R. What a great machine. On the video below, I’m riding my Yamaha on one of my favorite kind of roads, in Eastern Oregon. Take a look. Flying Close to the Ground. This is one of the most difficult things to explain, but it is also easy to understand. It is so much a reason for the fun most people get when riding. We all know a bike does not stay upright on its own when stopped. It needs a stand, our foot down, or it needs to be leaned against something. And when in motion we all know it needs the rider to be constantly adjusting balance to keep it upright. It is not a chore, though, and anyone who has ridden a bicycle does it instinctively. Balancing, counter balancing, counter steering, hanging off, standing up are all actions we engage on when we are riding a motorcycle. When riding at regular speeds a rider only provides small subtle inputs to keep the bike going. We don’t even realize how much fine-tuning we are providing all the time. But when we go one notch up, or two, by increasing speed and bringing more variables to the equation (curves, loose surfaces, this sort of thing) then the rider’s role becomes gradually more involved and critical in the laws of physics that keep the bike going. This is on itself a great source of pleasure. Leaning into a curve, and then counter steering and rotating to another on the opposite direction, riding a motorcycle becomes like flying. Except that it is better. Because the machine becomes almost organic with you. You are straddling the thing! It is a physical experience as you and the machine are one flexible entity. And if that is not enough, you can be doing all of this while close to beautiful landscapes. On the video below I’m riding my Triumph Tiger 800 XC on one of my favorite paved roads in Oregon. This road is only open a few months out of the year, when snow melts on the McEnzie pass. I ride it at least once a year. With its many curves and beautiful views, this road is a fun place to enjoy the flying close to the ground experience. In the Geography. The motorcycle has no roof, no structure around you. You are in the environment. That is one great advantage for riding a motorcycle, something a convertible automobile can not quite reproduce. This quote from Alan Watts is about us being part of the Universe. If there was a big bang in the process that formed the Universe, then we, humans, are very much part of it. Whatever was there at the beginning, had the building blocks for who we are today. We are the universe, we are made of star dust as someone mentioned. You don’t need to be riding a motorcycle to experience the thought that our eye sight, what we see, could be viewed as a lens by which the Universe looks at itself, experiences consciousness, and marvels at its magnificence. But riding a motorcycle certainly helps to experience this. In the Culture. As Ted Simon mentioned on the quote above, besides the geography, there is something about experiencing the culture of the locations along the way of your travels as well, that only a motorcycle can afford. It could be something about its vulnerability, the rider is in the open, making the rider more welcome to the peoples along the way. A motorcycle seems to always generate a friendly attitude from the people you encounter on the road, which is especially [or perhaps only] true when you ride solo. Countless times I stop along the way to take a picture and someone stops to ask if everything was okay. Or when I stop at a gas station or roadside restaurant, or a view point on the road and someone will approach me and make a comment about the motorcycle, ask where I’m coming from, or ask where I’m going. People will get out of their way to help you find a hotel, a restaurant. Motorcycles are a nice way to travel and to get to know and experience different cultures along the way. The Thrill. Every time I suit up for a ride I contemplate the risks of embarking on such activity. On a sort of spiritual moment I look at the bike before I start a ride and imagine that possibility that this is the last time I may see it and myself in one piece each. Riders know that it is not a question of “if” but “when” something is going to go wrong when we set out for a ride. We all practice some degree of safety precaution to reduce the risks of an accident. And we dress for the accident not for the ride. I always wear protective gear (pants and jacket with certified protective armor, helmet, gloves and boots). But accidents happen and I have been in a few situations in my riding history. I’ve been fortunate so far that the only injuries inflicted to me have been scratches and bruises besides light material damage to the bike. The point I’m making here is that there is pleasure involved in experiencing some fear, something about knowing the exposure to risk inherent to the experience of riding a motorcycle. This experience comes with the injection of adrenaline that happens when just embarking on a ride, which is enhanced when going on a solo journey. Then there is that respect, intimidation for the machine and its capacity for speed, and of course, a respect to nature’s gravitational pull. And the role I play in this process, the decisions I make while riding. How I’m constantly assessing risk. When the ride is on its way, and I’m settled, which happens in the first few minutes of the ride, or when I leave town, these thoughts move towards the background of the riding experience, but they never quite disappear. It is always there, it is part of the concentration process that makes riding such an intense experience. When at the end of a long ride I get back home, safe and sound, there is an awesome sensation of mission accomplished. There is something about a partnership with the bike. WE made it, I celebrate! The Triumph Tiger 800 XC and the magical moment of another mission accomplished. December 2011. Meditation: Sometimes I’m riding to enjoy the landscapes and smell the flowers. The Ponderosa trees in the dry side of Oregon smell really good! But most times I’m not a passenger, I’m engaged, thinking about carving the smoothest line possible through a curve. I’m thinking about the best speed to enter a curve and the optimal lean to make it be a smooth and safe line through that curve. I’m thinking about the right engine gear and the right acceleration out of an apex. I’m thinking about tire adherence, I’m relying on that to make it through the curve. I’m studying the road ahead for the upcoming curves, as well as the road immediately ahead of my bike’s front wheel. I’m looking for potential road hazards, or anything that can pose a risk, like cars or animals or road details. When I’m riding I’m extremely focused on the task at hand! This is not a chore, this is fun, and it is intense. When I’m riding on dirt roads and gravel I’m even busier and more concentrated. And having yet more fun. I’m alternating my attention between looking farther ahead to discover the terrain I will cover next. I will be adjusting gear and the best speed for what is coming up, and paying attention to the immediate terrain just in front of me, to find the best line through rocks or a single track, ruts or mud. I’m adjusting the throttle to get the best rear wheel spin out of the apex on a long sweeping gravel curve. Or adjusting throttle and riding line to navigate mud, sand, or rocks or other road surface hazards. Bottom line is that when I’m riding on such an engaged mode I’m in total concentration. Living the moment when I’m riding, is it meditation? Or is it something else? Time does not exist, only the moment and the many decisions I’m making. The efforts made to keep the bike going and its immediate rewards realized. When I arrive at the destination, I’m energized, I’ve just been awoken from a deep meditation session. There you have it. All these various reasons are different and they are one and the same. They connect with each other, they influence each other, they overlap each other, they combine with one another, and they enhance each other. And all together they explain why I like riding. They mean adventure to me. I hope to eventually add one more item to this list. Something I’m still to realize, and which I will only add to my list when I accomplish it. I’m talking about long distance adventure riding. I’ve done some adventure riding already, and you can read about these ride reports here. But these trips did not take me as far as I want to go some day. I dream of rides from here to Alaska, to the end of the road going north. Or a ride from here going south to Tierra del Fuego, to the end of the road going south. The day I make one of these long trips, then I will add this element to this equation. 13 Responses to Why do I ride? Cesar, found your site when doing a little research on the Duc 848SF. Great writing, pics and perspective on why we ride (when many others in our lives don’t understand). Keep the stories coming – now part of my Favorites folder. Hey Cesar, I really Like what you wrote. I feel very much as you do about traveling and adventure of going offroad. We have in fact quite a bit in common. I have been riding since my teen years in Sao Paulo, Brazil, riding lots in Brazil, some in Europe and quite a bit in the USA. I have owned most brands and now I ride a BMW R1200 GSA. If you ever come to Nashville, let me buy you a beer. Thanks for the kind comments. Riding in São Paulo certainly makes you quite a rider! 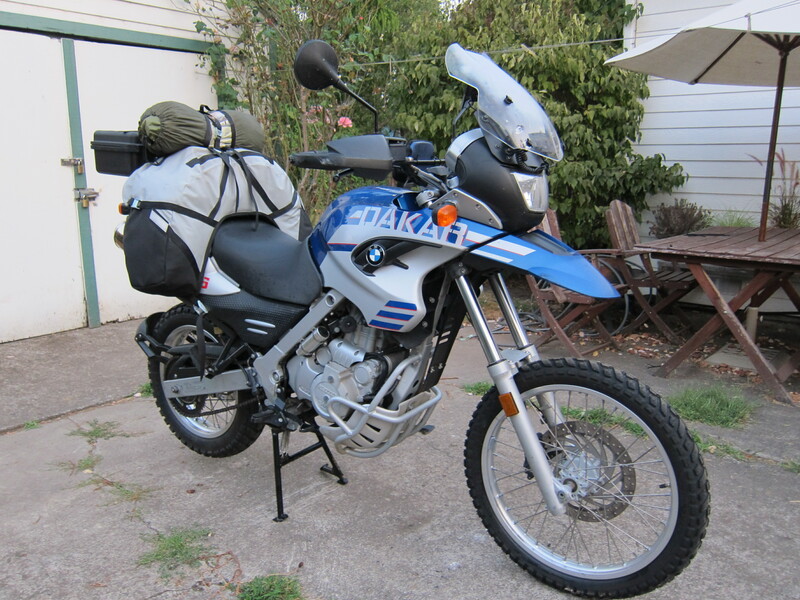 The BMW R1200GS is a nice motorcycle. I was in Nashville a couple of years ago, liked walking down the strip, going to the touristic spots and bars as part of a herd of tourists. Sometimes it is good to relax and follow the crowds. If I ever go back there I will let you know. The invitation goes to you as well, if you ever come to the beautiful Pacific Northwest, I’ll buy you a beer. Just a note to express my appreciation and admiration for your writing and photography. Your perspective on motorcycling and travel is engaging and fun. It is always refreshing to find insightful and thought-provoking writing about a hobby that involves such a powerful but often unacknowledged meditative ( “in the zone”, non-verbal) aspect. I was compelled to write after reading your research on Kevin Ash’s death. In 2007 when I bought my gsxr, I read of his touring set up; hepco becker hard bags attached, cleverly, to his gsxr with Buell Ulysses hardware. I contacted him and he wrote a very encouraging and lengthy reply. It is touching to read his families reminisces about his parenting and occupation. I am a Eugene resident. I recently sold my “3rd bike”, my ’07 gsxr 1000, after 16k miles of touring (including 162 mph on 447 on the way to Gerlach) and 27 track days. Now exploring on a KTM 450exc and touring on a 650 Wee-Strom. I enjoy solo and group rides, and as well enjoy riding my bicycle to work. I would like to offer to buy you a cuppa some time. Thanks Ron. It is always great to hear a personal reflection from one of my blog posts or pages. Kevin is being missed and it is good to talk about him. I actually have an update for that post, based on something that was published elsewhere regarding his family’s position on the incident. I’m looking for a time to concentrate on the matter and edit it on that post. 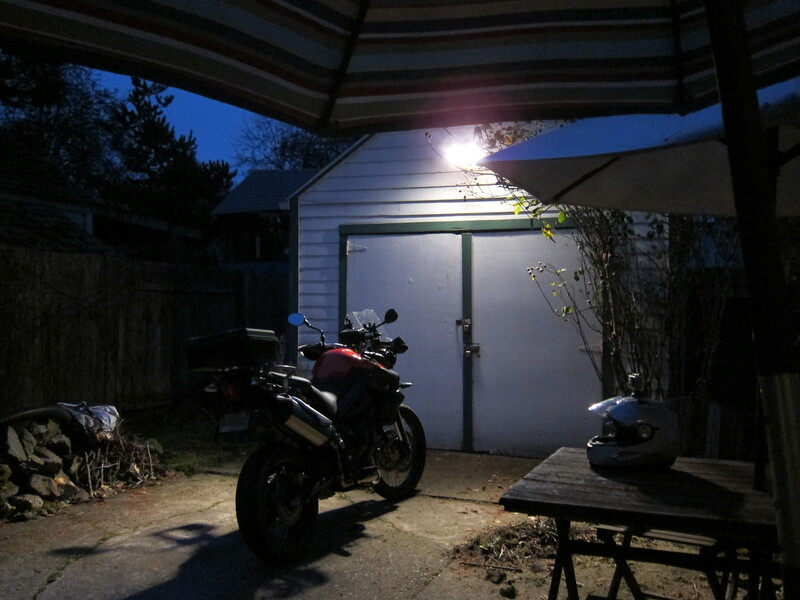 Cesar, I just stumbled upon your blog while searching for reviews on the Ducati Streetfigher. Great stuff, even though you sold it. I must say that I’m a bit jealous of you being so close to spectacular riding roads. I was introduced to the roads of eastern Oregon this summer and I liked them so much, I rode them twice – both from my home in Montana. In fact, I even sold my Triumph Speed Triple that I first road them on so I could have a more capable touring bike and bought a Multistrada 1100 S.
I still want the SF848 to compliment it, though your writings of your Tiger 800 really have me reconsidering that and completely switching up my stable. Keep up the good work. I’ll be back through this summer, no question. Hey Ryan, I’m glad you enjoyed riding in Oregon. Although Montana is quite the state! Coming from your Speed Triple, the Tiger 800 will feel a bit lazy for you. But the Tiger will take you on a different kind of adventure, and I’ve been enjoying it a lot. The Tiger 2015 model will come with a host of interesting stuff, including cruise control, traction control, riding modes, better fuel economy which increases range without a larger tank, and better suspension. If Honda does not deliver on what I expect it could do on its True Adventure concept, a new Tiger is on my eye sights for 2016. Finally, I miss my SF848 and the raw feeling I got on riding a motorcycle so directly connected to the road, with a slightly rough and aggressive motor. But I have a substitute in mind, which I will probably get by May 2015. A real all purpose and rather simple motorcycle. Thanks Ryan for the compliments on the site. It is a lot of work, but it has always been fun work! Im from Mexico, Yucatan, I’m going with a bunch of friends to your home town, Porto alegre, and we are bikers, we want to go from Porto to Curitiba and then end up to Rio de janeiro, but i have a big problem, we wanted to take our bikes down there, but it seems getting really really expensive, and we decided to rent bikes there, but i haven’t found a place to rent bikes online, could you help me please?? Have you checked shipping the bikes to Buenos Aires instead? It is probably cheaper and easier. Buenos Aires is very close to Brazil (if you cross by ferry to Montevideo). Buenos Aires will probably be a better place to rent a motorcycle, if that is the case. Other than that, I only go to Brazil as a tourist. Don’t know much about anything there these days. I stumbled upon your page when I looked for more info about Yamahas new concept T7 and oh my how pleased I am with what I found here. The story was packed with nuggets of good and thought-provoking information. I enjoyed the way you write. You manage to intertwine facts into the story without making it really dry and hard to read. Everything felt fluid and natural which made that lengthy article a breeze to go through. And add the pictures and graph to illustrate it all – good job. Now, after I read that Yamaha and KTM story, I started to shift through your page to see what you are all about. And after reading this story I have to say thag I feel like you have written pretty much everything I’ve been thinking about motorcycling. If someone is asking me about why I ride then I usually struggle to find good words to describe the feeling I get when I’m on my bike. Usually I just tell people that it’s freedom to feel the wind and go everywhere you desire. But now after I have read this story I understand that there is so much more to it and now I can describe motorcycling better. At least the kind I’m enjoying the most – which is adventure riding. So I thank you for the effort you put in your writing and I can assure that you got yourself one more frequent visitor on the page.